But putting experience first requires a mindset shift that can be challenging for some marketing organizations. Recently, I sat down with six industry thought leaders to record video interviews about customer experience, marketing technology, innovation, and the 25th anniversary of digital advertising. This episode was recorded on-site, at the 2019 Adobe Summit—the digital experience conference—which brings together marketers from all over the world to explore the possibilities of using marketing technology to create engaging customer experiences. Keep an eye on the MarketingProfs YouTube channel for the individual video interviews. For each guest's previous Marketing Smarts full interviews, click the episode numbers below. Bruce Swann, senior product marketing manager for Adobe Campaign, Adobe Campaigns, episode 312. Stewart Rogers, senior editor at GritDaily. Ann Handley, best-selling author (Everybody Writes, Your Go-To Guide to Creating Ridiculously Good Content), chief content officer, MarketingProfs. Marketing Smarts episodes 130 (battling mediocrity in content), 146 (marketing writing), and 175 (marketing that surprises). 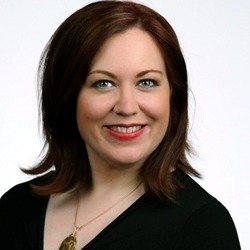 Mack Collier, social strategist, speaker, author of the book Think Like a Rock Star, and the creator of the BlogChat, a weekly Twitter chat on blogging that's one of the most popular and enduring chats online! Marketing Smarts episode 94 about his book, Think Like a Rock Star, and episode 187 about marketing conferences.). Justin Merickel, vice-president and media optimizer at Adobe. Listen to the entire show, which you can do above, or download the mp3 and listen at your convenience. Of course, you can also subscribe to the Marketing Smarts podcast in iTunes or via RSS and never miss an episode! six smart marketers: Bruce Swann, Stewart Rogers, Kate O'Neill, Ann Handley, Mack Collier, and Justin Merickel.